Researchers have shown for the first time how children can inherit a severe – potentially fatal – mitochondrial disease from a healthy mother. The study, led by researchers from the MRC Mitochondrial Biology Unit at the University of Cambridge, reveals that healthy people harbour mutations in their mitochondrial DNA and explains how cases of severe mitochondrial disease can appear unexpectedly in previously unaffected families. Mitochondrial diseases caused by mutations in mitochondrial DNA are rare, affecting approximately 1 in 10,000 births, but can cause severe conditions. For example, Leigh Syndrome is a severe brain disorder causing progressive loss of mental and movement abilities, which usually becomes apparent in the first year of life and typically results in death within two to three years. 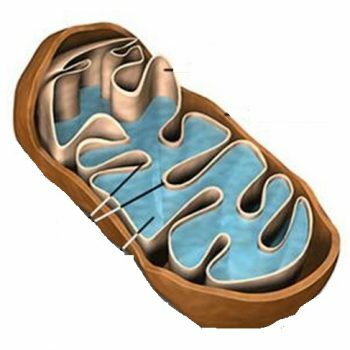 Mitochondria are the powerhouses inside our cells, producing energy and carrying their own DNA instructions (separate from the DNA in the nucleus of every cell). Mitochondria are inherited from a person’s mother via the egg. In the study, published in Nature Cell Biology, the researchers isolated mouse and human female embryonic germ cells – the cells that will go on to be egg cells in an adult woman – and tested their mitochondrial DNA. They found that a variety of mutations were present in the mitochondrial DNA in the developing egg cells of all 12 of the human embryos studied, showing that low levels of mitochondrial DNA mutations are carried by healthy humans. For most of the human genome, mutations are kept in check by the processes of sexual reproduction, when eggs and sperm combine; however, mitochondria replicate asexually and mitochondrial DNA is inherited unchanged from the mother’s egg. This means that over time mutations can accumulate which, if left unchecked over generations, could eventually lead to malfunction and disease in offspring. This conundrum led researchers to predict that a “bottleneck,” where only healthy mitochondria survive, may explain how mitochondria are kept healthy down the generations. In this study, the researchers identified and measured this bottleneck for the first time in developing human egg cells. In these cells, the number of mitochondria decreased to approximately 100 mitochondria per cell, compared to around 100,000 mitochondria in a mature egg cell. 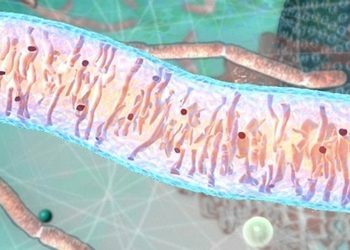 In a mature cell, a few faulty mitochondria could hide unnoticed amongst the thousands of healthy mitochondria, but the small number of mitochondria in the cell during the bottleneck means that the effects of faulty mitochondria are no longer masked. The exact mechanism by which cells with unhealthy mitochondria are eliminated is not yet known, but since developing egg cells need a lot of energy – produced by the mitochondria – the researchers suggest that after the bottleneck stage, eggs cells containing damaged mitochondria cannot generate enough energy to mature and are lost. This study found every developing egg cell may carry a few faulty mitochondria, so occasionally, by chance, after the bottleneck these could be the mitochondria that repopulate the egg cell. The scientists suggest that if the quality-control step fails, then this faulty egg could survive and develop into a child with a mitochondrial disease. Mitochondrial diseases are currently untreatable, although they can be prevented by the new technique of mitochondrial transfer – removing affected mitochondria from an egg or embryo and replacing them with healthy ones from a donor. 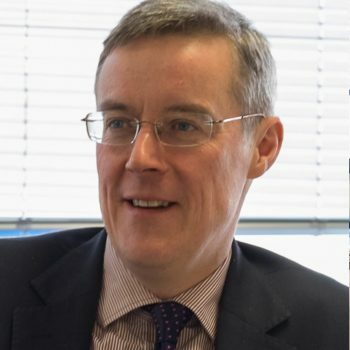 Professor Chinnery is a Wellcome Trust Senior Research Fellow and the researchers were funded by Wellcome, the Medical Research Council and the National Institute for Health Research. The research is funded by the Wellcome Trust and the MRC with support from the NIHR Cambridge BRC.